Could Your Surgery Center Benefit from Patient Surveys? 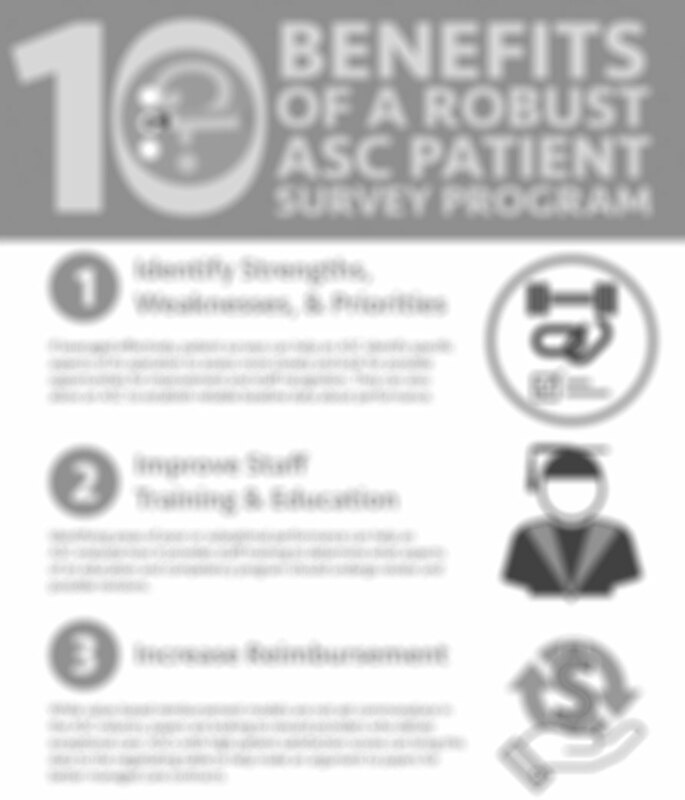 For some ASCs, while you may frequently collect patient surveys, it’s possible that you pay little attention to the results, and some ASCs might not utilize them at all. In either you case, you might not be aware of how valuable the information received through patient surveys could be for your surgery center. If you want to improve your ASC’s clinical, financial, and operational performance, conducting and evaluating patient surveys is the key. To learn more about each of these benefits and more, download the infographic.